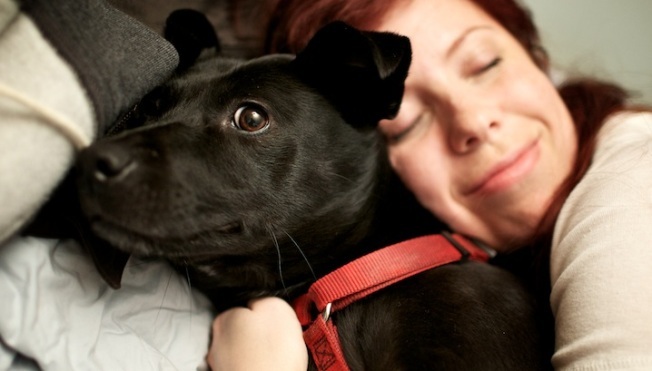 Renters are fighting the system for their beloved pets. Finding the perfect apartment in New York City can be a pretty cutthroat endeavor, and if you have a pet, things get even more complicated. As the New York Times points out, New Yorkers will go to crazy lengths to get not just themselves into the homes of their dreams, but their pets, too. It is all too common for families to be denied an apartment or asked to move, and families often lose important real estate deals, all because of their pet. The Times points to examples of people paying large sums in advance to cover the potential cost of refinishing building damages, hiding details about the weight, number, or breed of their animals, or straight up lying. If a building suddenly adopts a "no pet" policy and an owner's pet dies, the owner might adopt an animal of the same breed and promise it's the same pet. As buildings are creating stricter and stricter rules for housing animals, we are left wondering what new extremes owners will be expected to rise to. One couple approached the board president of a co-op who had a no-pet policy. They agreed to pay "$50,000 as a nonrefundable fee to the building and $25,000 in escrow for any damage the dog might cause. The couple also submitted a dossier consisting of a photo, a veterinarian's report and a colorful description of Dakini, describing her as "spiritual" and detailing her meeting with the Dalai Lama. Dakini, it was further revealed, had also appeared in a television pilot. And, if a pooch like Dakini can't make the cut, who really can?